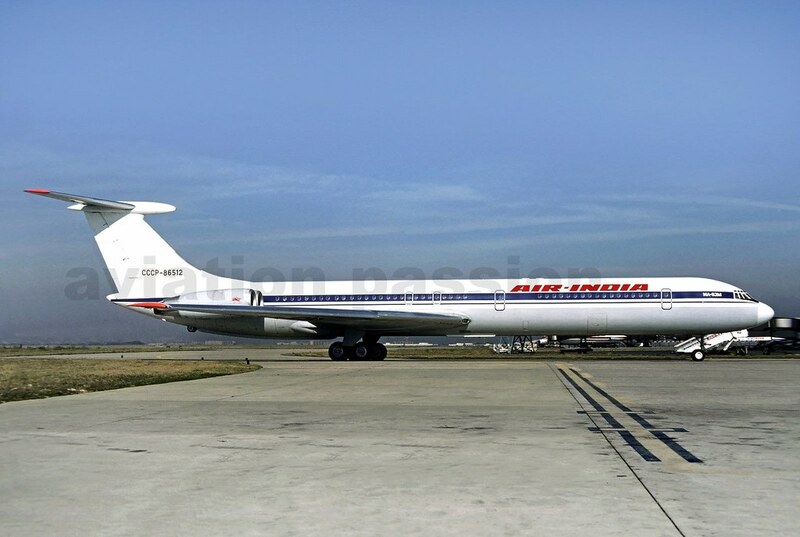 Here you go, Sumantra ......new (unseen) one of 86512, this time at Paris Orly. 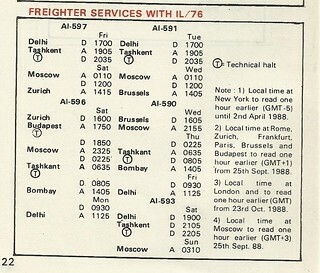 Did AI actually use the leased IL-62 regularly on India-Paris operations or was this just a one-off? Nope, this was perhaps a one-off thing. 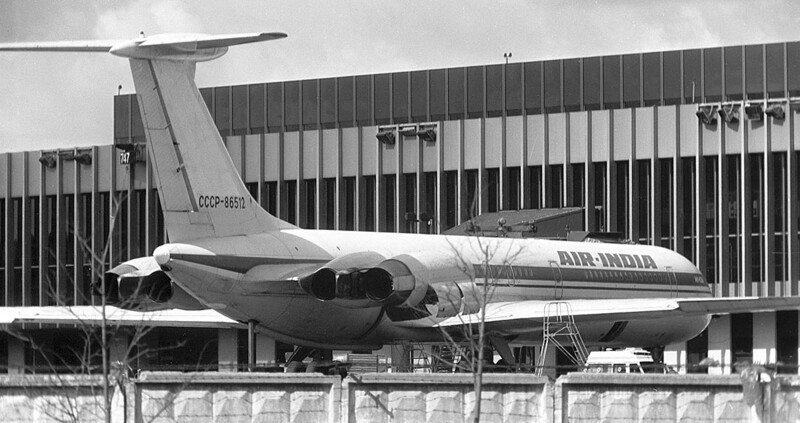 The only flights on the IL-62 were to & from Moscow. 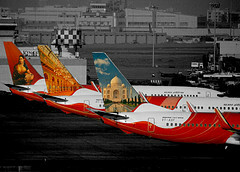 Sumantra - here is an Air India ad for the IL ......unfortunately the 76, not the 62. The 76 itself is a gem of a find: trust you to get such a lovely ad, literally out of thin air! My God...an amazing find, 747-237! I? really wonder how you can simply unearth these beauties at the drop of a hat. And one at Orly that too: on a possible rare substitution from SVO. Oh my God...this is as rare as rare can be! The thrust reversers...and which airport is this? At first glance, this looks like Terminal-F at SVO. Amazing find, with a great angle! Thank you for sharing this with us. Yes, I think you might be right on the airport & terminal, my friend. What gets me not-so-sure is the Mercury minivan (a bit incongruous for the Soviet Union, even though we are talking about the Glasnost era). If this is indeed SVO Temrinal-F, this is almost the exact spot from where the highly popular SU 234 SVO-DEL A332 service sets out from. These are the far gates to the right, with the boundary wall a bit jagged and non-uniform here. 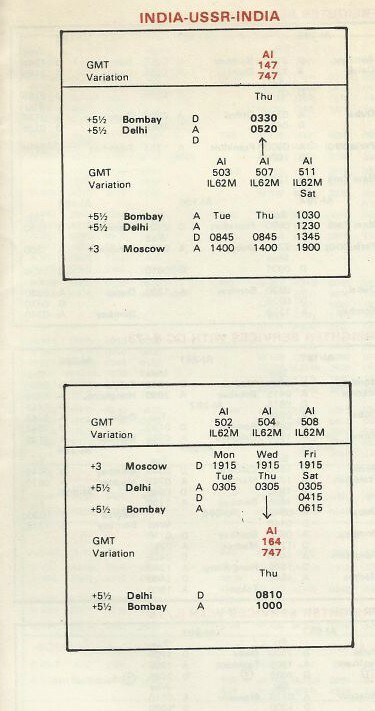 Sumantra - Air India timetable March 1988, showing IL62M & IL76 ops. Whoa...this is a lovely find. Please keep the good work up!